The Anthracite Special at platform 9¾ …. Submitted by drogon on January 29, 2015 – 7:43am. I got it going, starting with the usual waxed milk cartons and kindling, and when it was hot enough to ignite the beach pebbles that masquerade as anthracite, on they went. I let it get hot for an hour or so and topped it up. 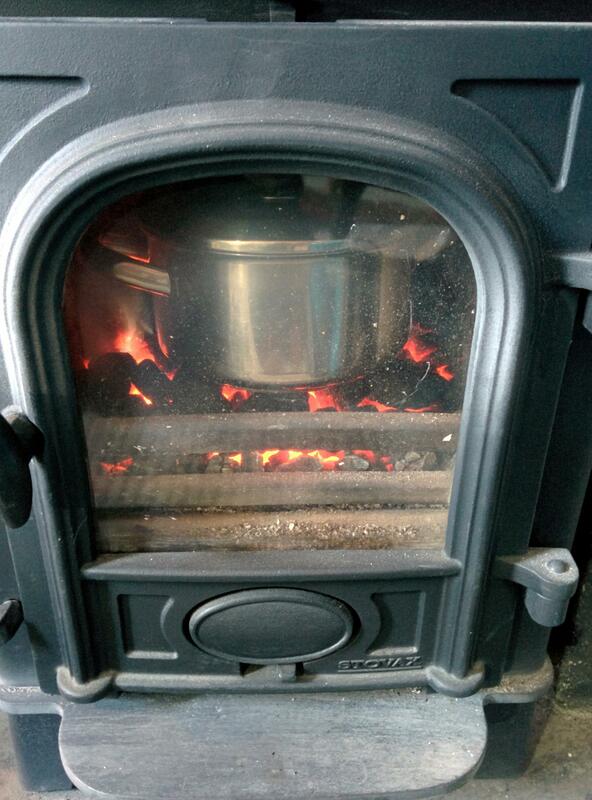 It rose well again in the pan in-front of the fire which I’d damped down. 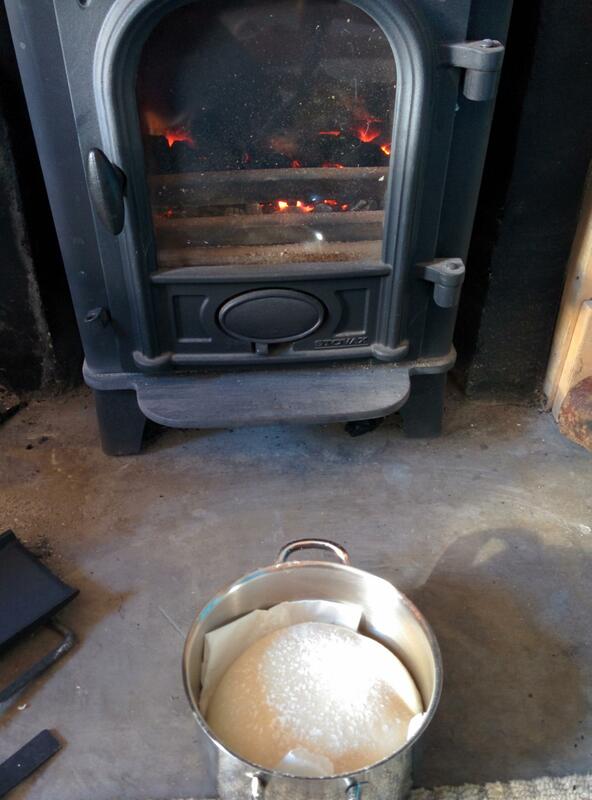 My IR thermometer was off the scale, but it was about 450C on the sides – maxed out on the coals, so over 500C. 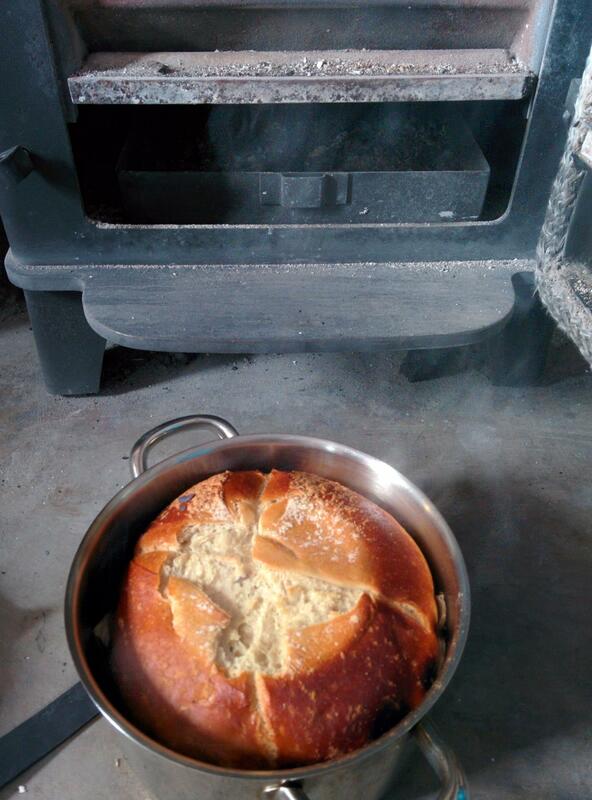 Proving in-front of the stove. I gave it 15 minutes with the lid on, then took it out to remove the lid… Eeek! 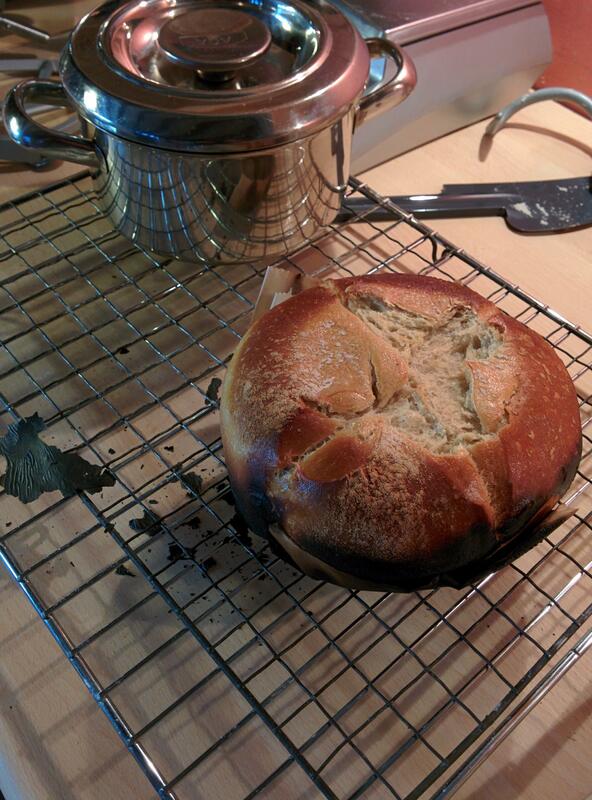 It had risen up more and stuck to the lid a little…. 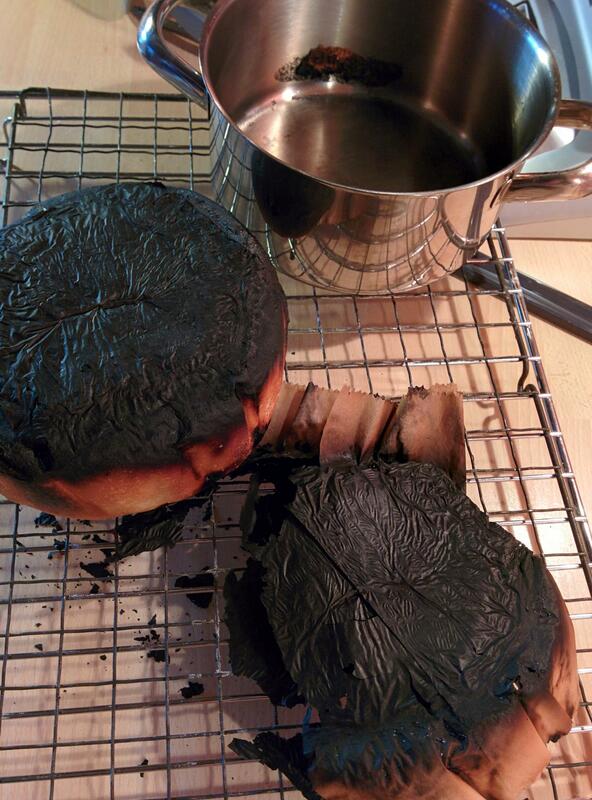 The baking parchment had burnt – as had the bottom of the loaf. For a basic white loaf, slightly undercooked it actually tasted very good! 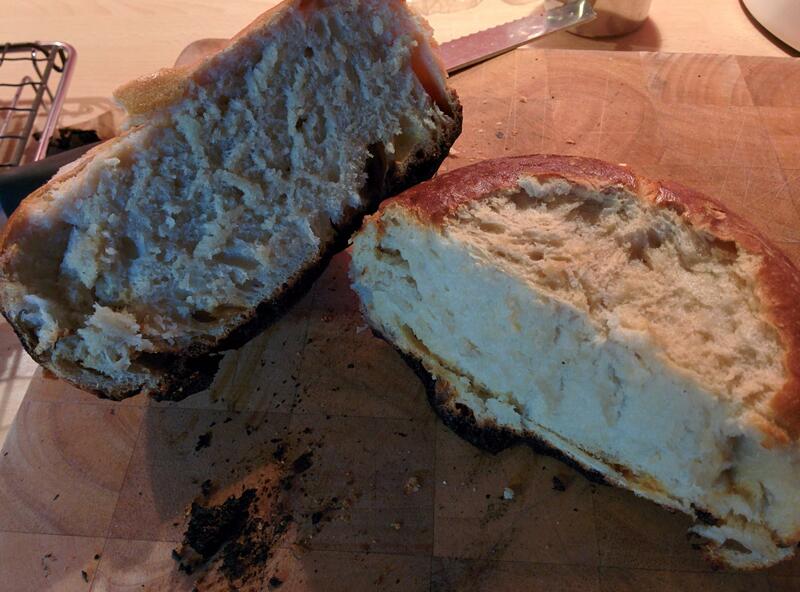 It has the aroma of toast without being toasted – nice soft fluffy bread – what’s not to like!